In fall 2016, New Mexico State University launched its official crowdfunding platform, Make A STATEment. In just two short years, more than 1,450 gifts have been made on the platform, raising more than $163,000 to fund a variety of student programs, scholarships and experiences abroad. Crowdfunding, as a concept, has actually been around for a while. In the 1700s, Austrian composer Wolfgang Amadeus Mozart used the crowdfunding methods of his day to support performances in a Viennese concert hall. And, in the late 1880s, newspaper publisher Joseph Pulitzer used his daily paper, the New York World, to raise more than $101,000 from 120,000 people to fund construction of the pedestal for the Statue of Liberty. Modern day crowdfunding emerged in 1997 when the British rock band, Marillion, pioneered a fan-based internet platform to raise more than $60,000 to fund a North American tour. That same online business model is used by many of today’s crowdfunding platforms. Crowdfunding, a word that wasn’t coined until 2006, uses the internet to raise smaller amounts of money from larger numbers of people. It is used around the world by numerous industries – large and small. Higher education institutions, in particular, provide avenues for student-led crowdfunding to support a wide range of student-centric causes. 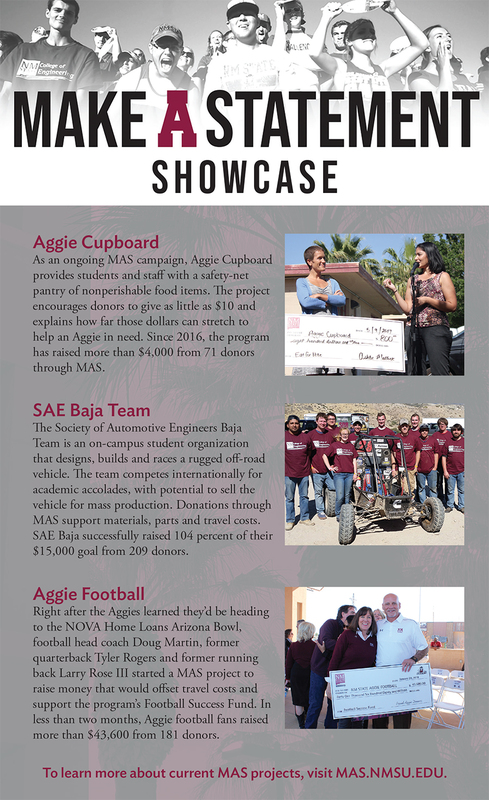 Launched through the NMSU Foundation, MAS empowers current NMSU students, faculty and staff to come together to raise awareness and financial support for projects through targeted crowdfunding opportunities. 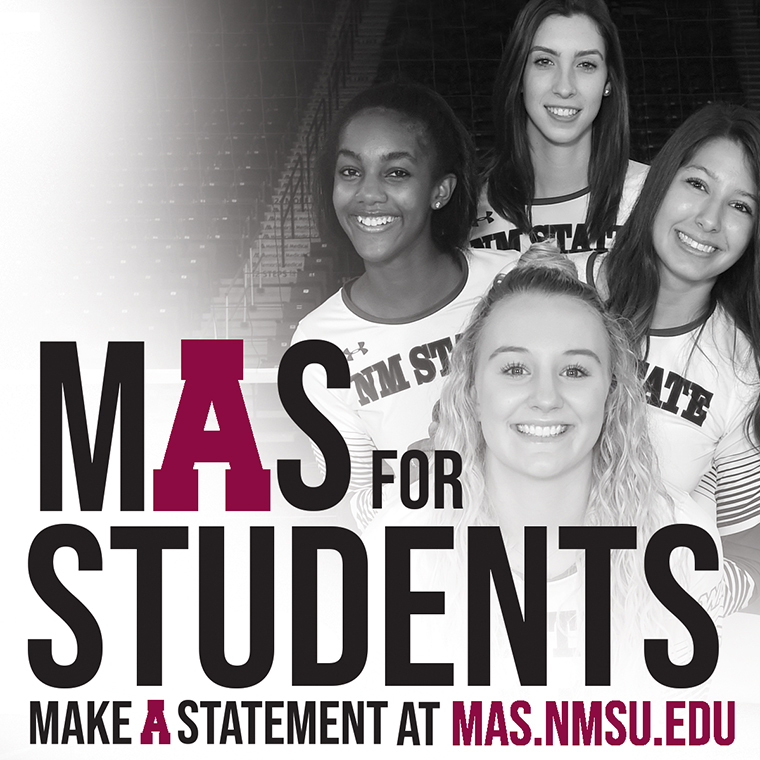 Unlike fundraising through GoFundMe or any other external site, all participating programs receive every penny they earn because MAS is owned and operated by the NMSU Foundation. To participate on the platform, projects must fund a specific program and priority within the NMSU system. All applications are considered based on urgency of need, team commitment, network size, project appeal and goal achievement potential. From scholarships and research to outreach and travel, NMSU students and faculty can leverage peer-to-peer networking on social media and MAS, raising money to not only better their higher education experiences but also those of generations to come. To date, 41 projects have received funding through MAS, and as the 2018-2019 crowdfunding year begins to take shape, that number will increase. Each project is as successful as the people behind it, and the more promotion a program’s sponsors generate, the greater the fundraising success.